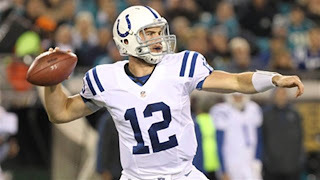 Our first flex of the 2012 NFL season was CBS moving Patriots-Colts to the late slot and thus most of the country will see a great quarterback matchup in Tom Brady and Andrew Luck. In the early slot, most will see Browns-Cowboys with others getting Jets-Rams, Bengals-Chiefs or Jaguars-Texans. The other game in the national window is Chargers-Broncos. Continue reading for announcers and distribution.